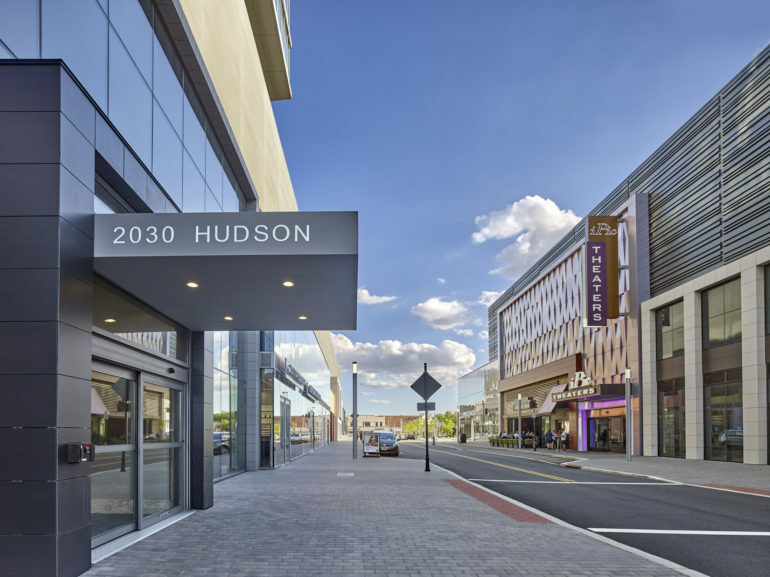 New York Life Insurance Co. has originated $135 million in financing for Hudson Lights, the two-year-old residential and retail property near the George Washington Bridge in Fort Lee. The company, through its New York Life Real Estate Investors division, announced Tuesday that it provided the mortgage loan for the mixed-use property. Built by Tucker Development, Kushner Real Estate Group and funds managed by Ares Management, the complex includes 276 market-rate apartments, some 136,000 square feet of retail space and a parking garage. The floating rate loan has an initial term of three years, New York Life said. Hudson Lights is anchored by an eight-screen, 533-seat iPic luxury movie theater, while also featuring other eateries and retail offerings. They include Mamoun’s Falafel, Paris Baguette and Anthony Franco’s Pizza, along with operators such as CVS, Capital One Bank, and CycleBar. Hudson Lights fronts on Lemoine Avenue, Main Street, Park Avenue and Bruce Reynolds Boulevard, sitting opposite a pair of all-glass residential high-rises by SJP Properties known as The Modern. Together, the projects have transformed a 16-acre site that local officials had sought to redevelop for decades.